A guest favorite, this comfy, second-floor room with glass French door opening onto the second-floor balcony overlooks the stunning garden and provides a glimpse of the scenic harbor. This room features exposed 19th century ship beams, cathedral ceiling, wide-plank pine floors and recessed halogen lighting keeping it light and airy. 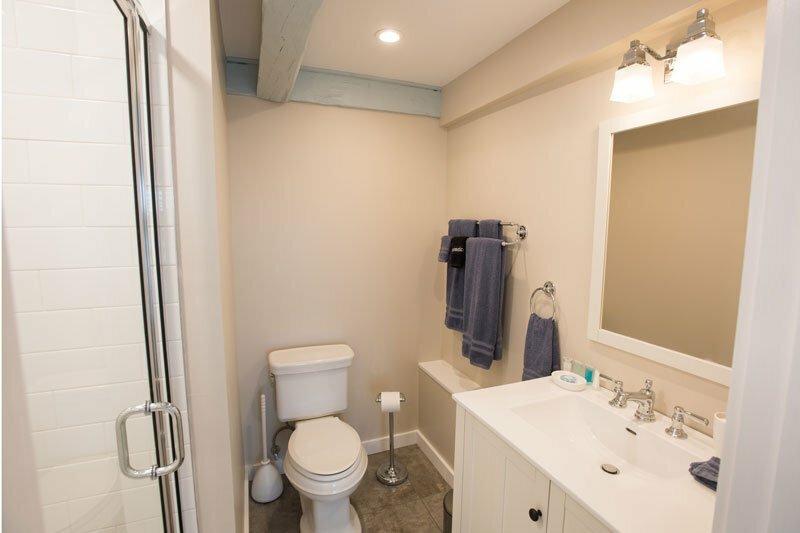 Other amenities include a brand-new, private bath, full size bed, ceiling fan, AC, mini fridge, cable TV and Wi-Fi.